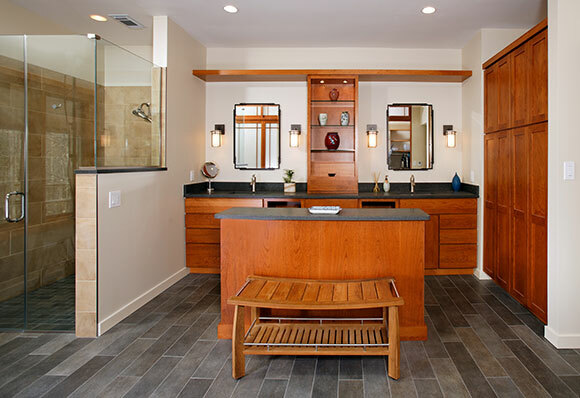 Here is another of FOXCRAFTs national award-winning projects – a beautiful, Asian-inspired master bath suite. The original master suite was broken up into small, compartmentalized areas. A 3’x3’ vinyl shower was dwarfed by an enormous whirlpool tub surrounded by artificial flowers. 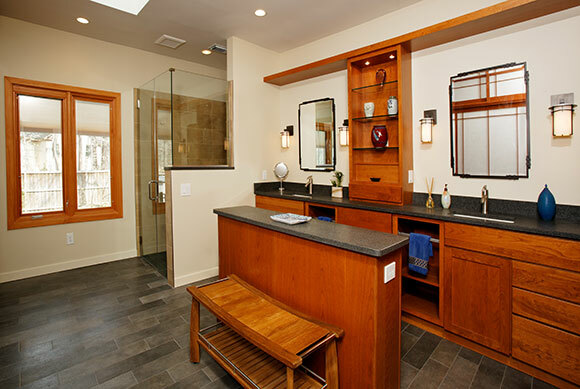 After stripping away the 1970s aesthetics we created an Asian-inspired contemporary bathroom. 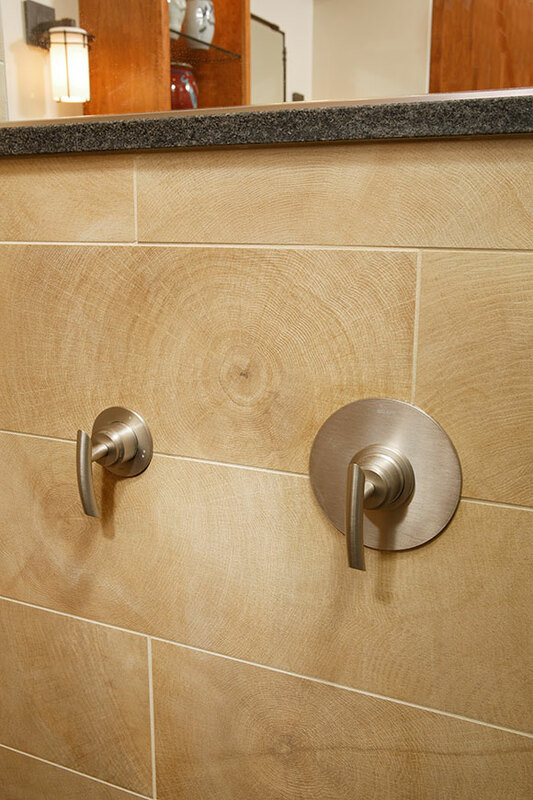 The tile on the floor complements the granite throughout the house. 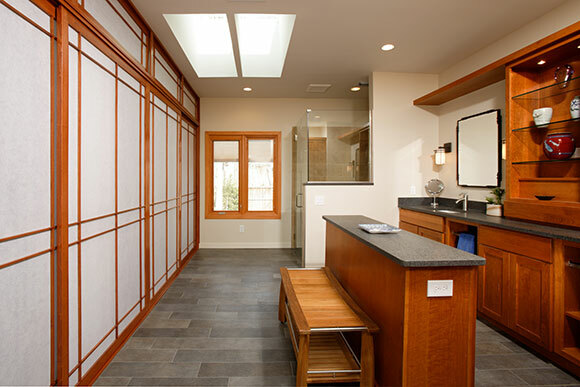 The shoji screens reflect the client’s personal taste in art, separate the dressing area and allow natural light to filter softly into every corner of the room.